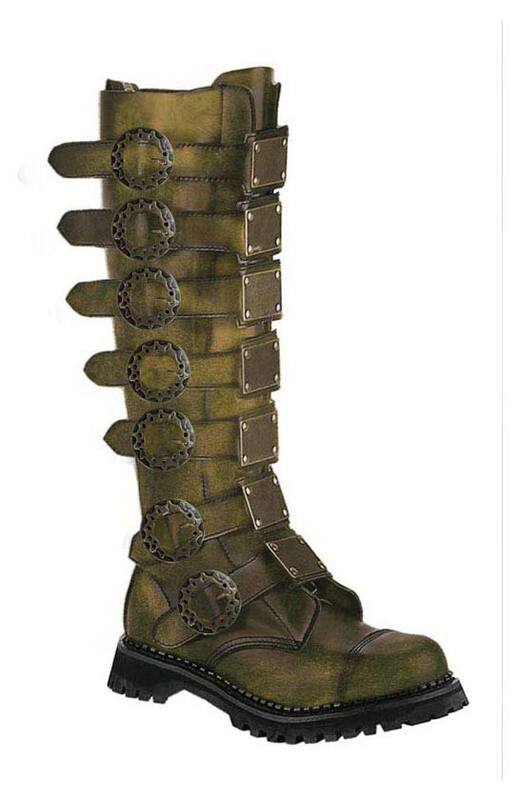 These fantastic Steampunk boots Have 7 buckle straps across the entire front of the boot. 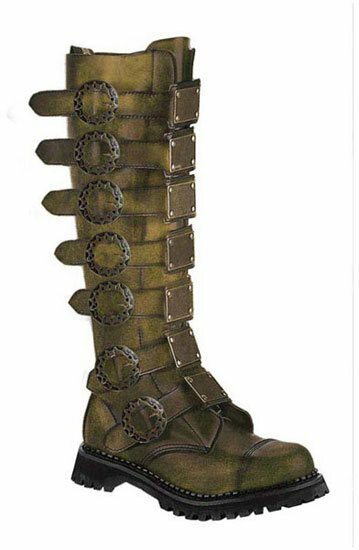 Each strap has a ornate buckle and a bronze plate riveted in place to give these Steampunk boots a very unique look. The leather on these boots are polished so that it gives a bronzing effect. The Steam-30 also has a very durable full length inner zipper for easy on off. These boots have a 1 1/2 inch heel and the sole is made of man made rubber for extra traction.